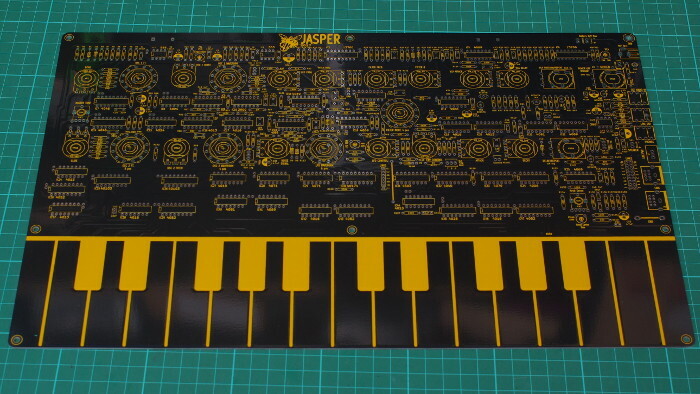 Jasper kit PCBs are now back in stock! Prices and shipping are currently the same as the previous PCB run… Details about what’s in the kit is in the Buying Jasper page. If you would like to buy a kit, send an email to info (at) jaspersynth.co.uk stating where you are, and I will send a PayPal invoice with the correct shipping. You can find the BOM and construction guide on the documentation page. There’s also a Mouser cart that includes a most of the components which will get you started collating all the bits. Other electronics suppliers are available, though, and the components are generally easy to find through hole parts. Check the BOM for details.